Sussex Police says it has been stood up on Valentine’s Day. A spokesperson said, “All we wanted was to spend some quality time with people who’ve been trying to avoid us lately. “Can you play cupid and help us secure a date with some of the county’s most wanted people? There’s every chance it will be back to our place for coffee! “We will be appealing for those who have broken our hearts to meet us for the date they owe us. 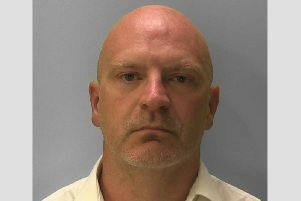 One wanted date, says the force, is a man from Polegate. Lee John Cornelius, 40, from Polegate, is charged with possessing Class A crack cocaine with intent to supply and wanted for failing to appear at Hastings Magistrates’ Court on December 28 2017.